Jordan himself in some very special Jordans. 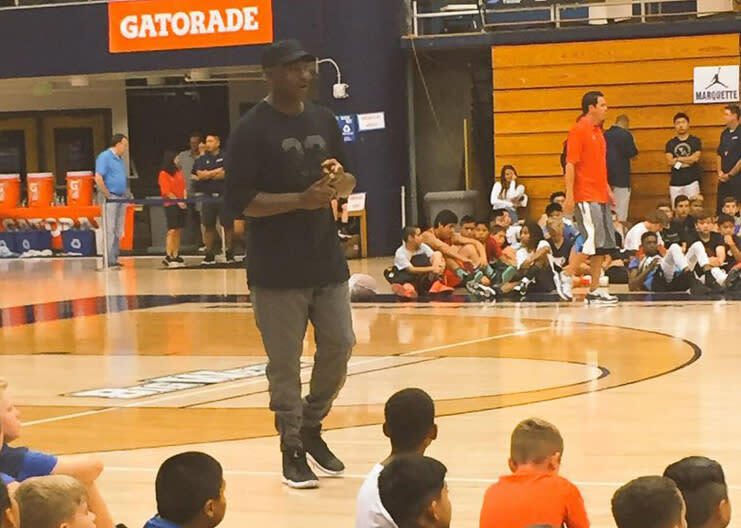 The Michael Jordan Flight School is back in session for the summer, meaning that Jordan himself is in the building to help spread his immense basketball knowledge to youngsters. He's also there to do a little bit of stunting, as he's done in the above photo with an unreleased Air Jordan 11 Low. This isn't a new sneaker mind you–those in Jordan's inner circle have shown off the red/gum colorway in years past. What other sneakers did His Airness break out for this week's Flight School sessions? For now all we've got is the decidedly less interesting shot below, which appears to have the Jordan Ultra.Fly on-feet for the GOAT.